For Stuart and Barbara Farquhar stepping into their new kitchen is like walking into a luxury, exotic holiday destination. 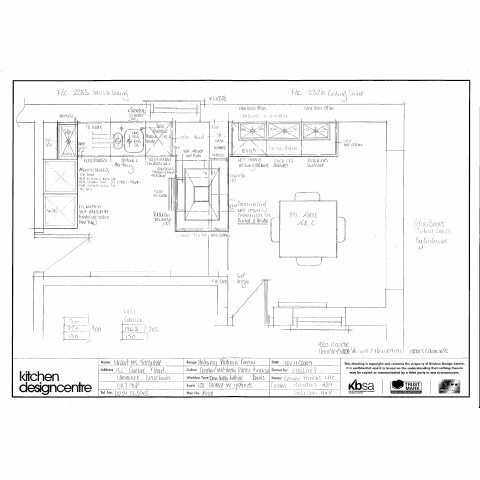 Barbara and Stuart commissioned the Kitchen Design Centre to bring their small but functional 23 year old kitchen up to date, expanding on the space to incorporate a much desired dining area. Their tired kitchen has now been transformed into a modern airy kitchen diner filled with light. “I asked the Kitchen Design Centre and another company to draw up some designs for my kitchen and once I saw the artwork from the Kitchen Design Centre I knew that was what I was going to go for-it was perfect! “I have seen the work that Kitchen Design Centre produce, through friends and family, so I wasn’t surprised that I loved their ideas and design,” said Barbara. Living in a 1970’s bungalow Barbara and Stuart wanted to bring their kitchen more in keeping with the rest of the house giving it a modern edge. Barbara said: “The vision of our designer, Emma, who came up with the stunning design like no other we had seen, was wonderful. The kitchen houses all of the latest Neff appliances from a large fridge freezer, warming drawer, to a built in oven and microwave and latest induction hob. 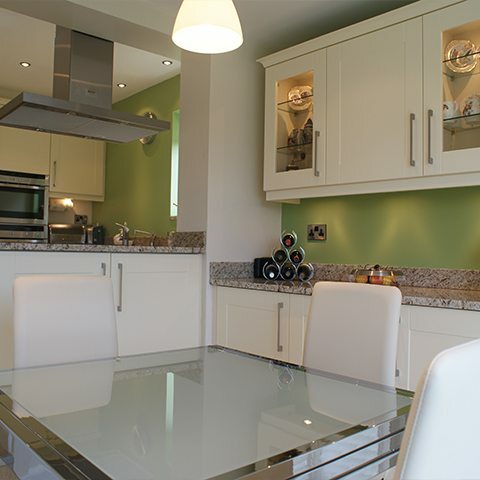 Emma, Designer from the Kitchen Design Centre, said: “This project was certainly tricky as the amount of space we had to work with was quite tight and we still wanted to make sure the Farquhar’s had all of the appliances built in. 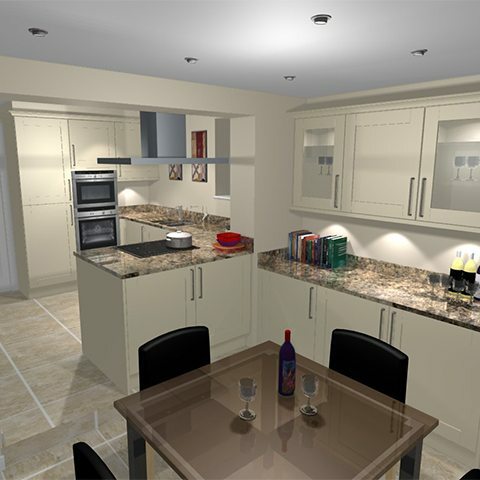 “To overcome this we had to be creative in where and how the appliances were fitted. This project involved an extension to the original kitchen to incorporate a dining area into the room, something Barbara was looking for. 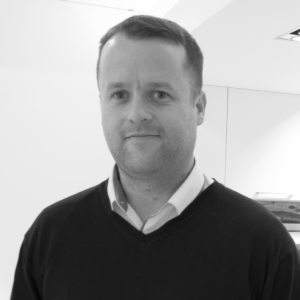 “Being able to now eat in the kitchen whilst being far enough away from the hub of the preparation aspect of the kitchen is a definite plus, it is certainly the aspect of my design that I most pleased with. “Seeing my ideas come life was fantastic especially as I was very open minded and I couldn’t put my finger on exactly what I wanted until I saw it. "The vision of our designer, Emma, who came up with the stunning design like no other we had seen, was wonderful." "This project was certainly tricky as the amount of space we had to work with was quite tight and we still wanted to make sure the Farquhar’s had all of the appliances built in."